Here is my layout for the Dusty attic march challenge. Voici ma page pour le défi de mars chez Dusty Attic! The chipboard under the round picture is from Dusty attic! 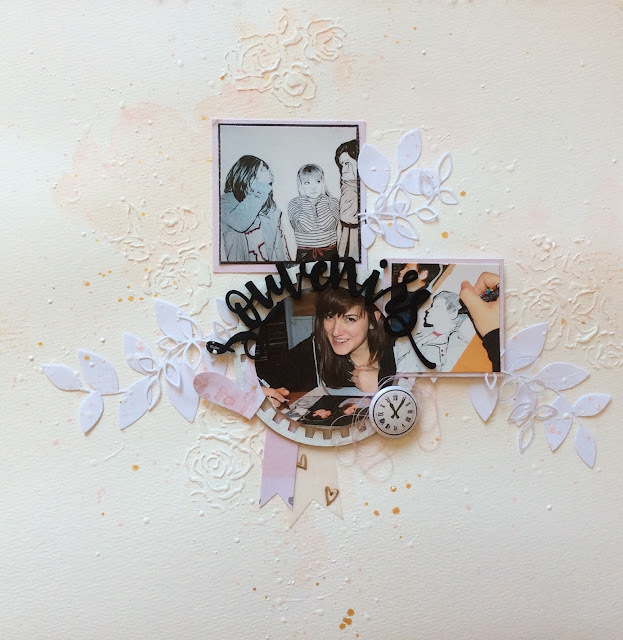 Le badge est de Cut2luv, le titre de Accent scrapbooking! Beautiful page and a fabulous take on this month's Mood Board Challenge! Thanks for sharing with us at The Dusty Attic. I love your interpretation! It's so soft, sweet and delicate! Thank you for joining Dusty Attic challenge this month!